US PRESIDENT BARACK Obama had an emotional moment while addressing campaign staff in Chicago after his election win on Tuesday night. The moment, in which he chokes up and wipes away a tear, was captured on video. “You’re just going to do great things,” he told his workers. “And that’s why even before last night’s results, I felt that the work I had done in running for office had come full circle. 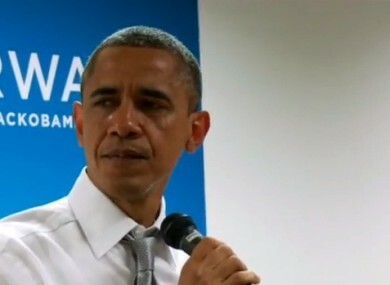 Email “VIDEO: President Obama cries during address to staff”. Feedback on “VIDEO: President Obama cries during address to staff”.